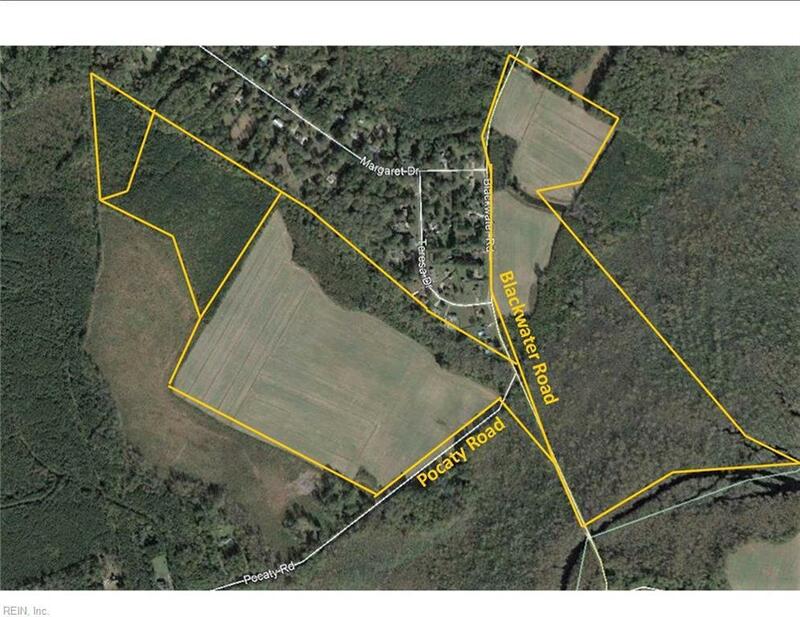 2628 Pocaty Rd, Margaret Dr, Chesapeake, VA 23322 (#10219294) :: Abbitt Realty Co.
216 +/- acres. Multiple parcels in Chesapeake VA near the Blackwater section of Virginia Beach. Acreage per City of Chesapeake tax records. Property includes both wooded and cleared property fronting Pocaty Road and Blackwater Road. Owner will consider selling separately. Some under cultivation. Uses limited.